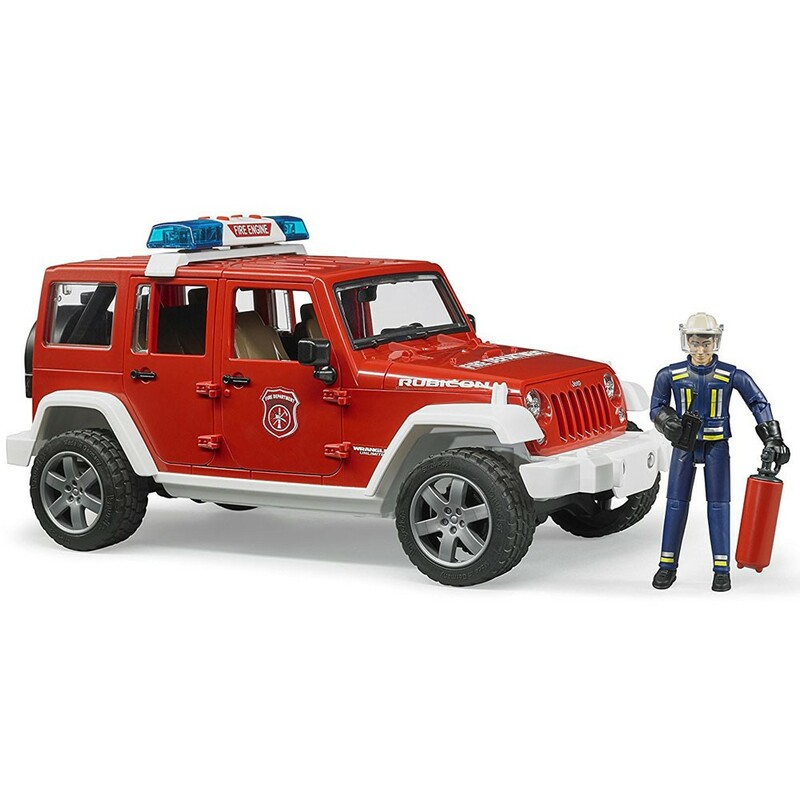 As realistic and functional as the toy vehicle gets, Bruder Jeep Rubicon Fire Rescue is ready to be operated by the toy or child fireman! 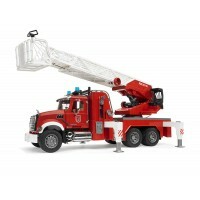 Your young fire fighter needs a fire service vehicle to coordinate safety mission and fire emergency control. Thanks to Bruder's famous toy quality and play functionality, the Bruder Jeep Rubicon Fire Rescue with Fireman Vehicle Set is an ideal implementation of this requirement. 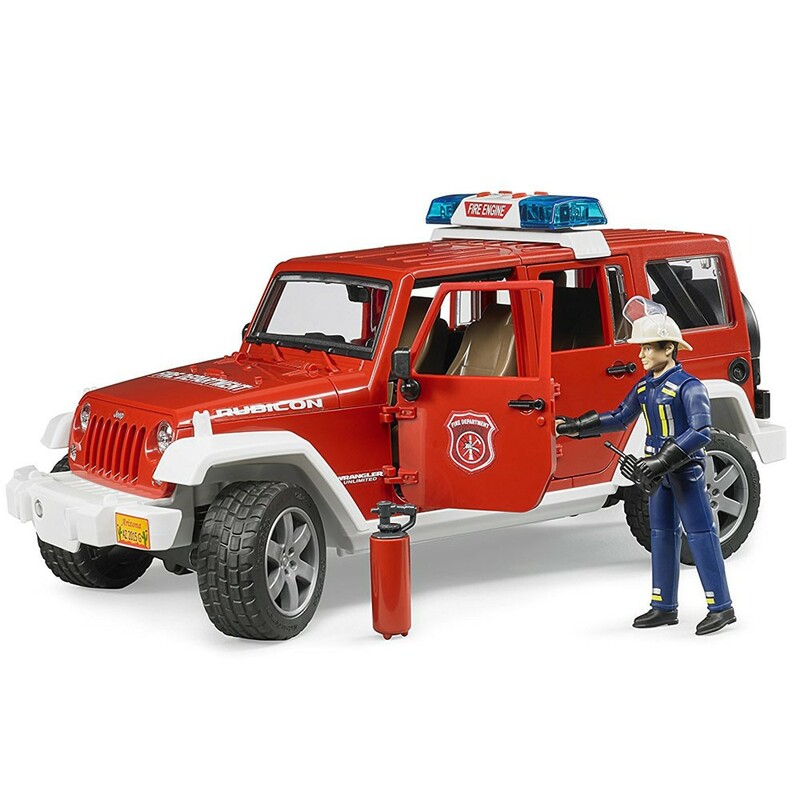 The responsible officer coordinates efforts to save lives and fight fires from the command vehicle and even contributes to rescue efforts. 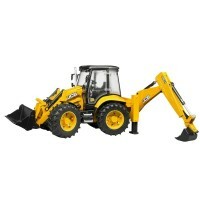 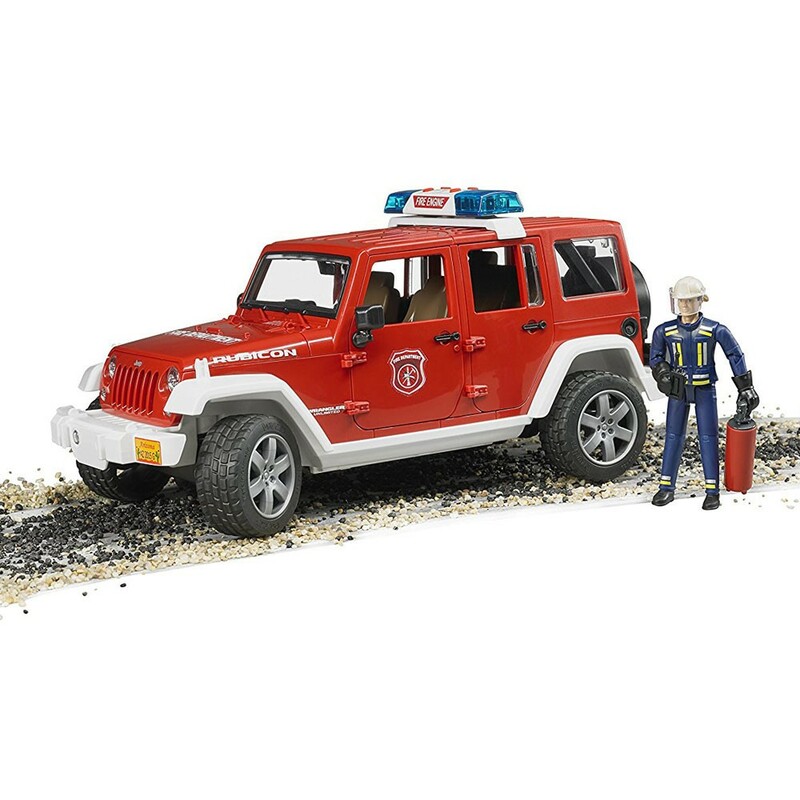 Just like the original, the Bruder fire rescue vecile features off-road axle suspension. 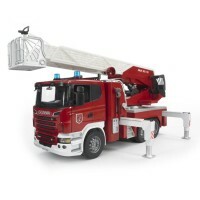 The Ackermann steering geometry including a drag link extension through the vehicle's roof enable imitations of incident scenarios. 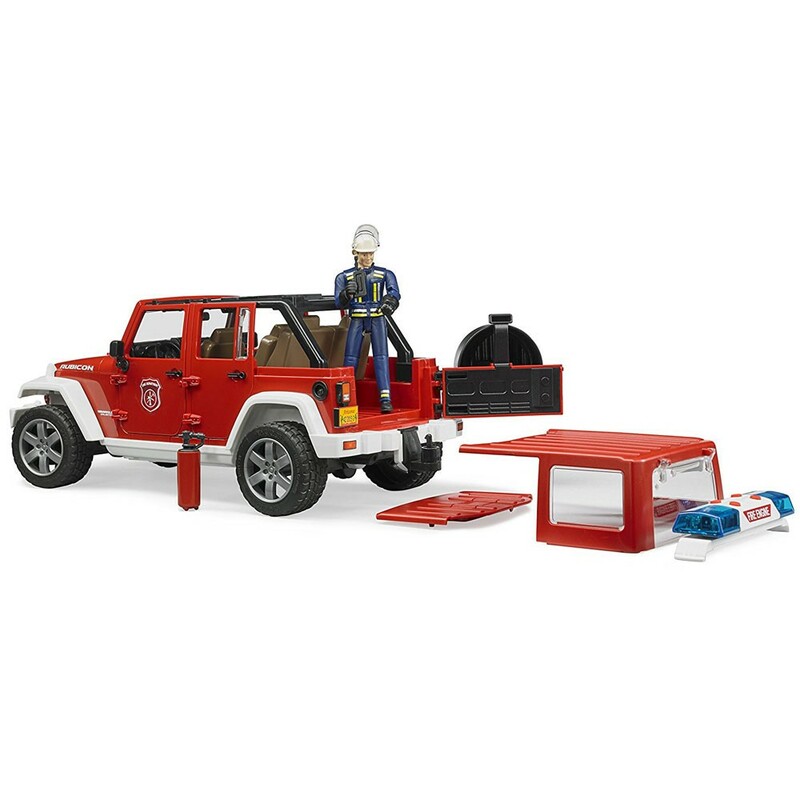 Doors, bonnet and boot open to enable quick loading. 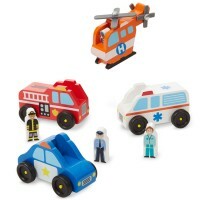 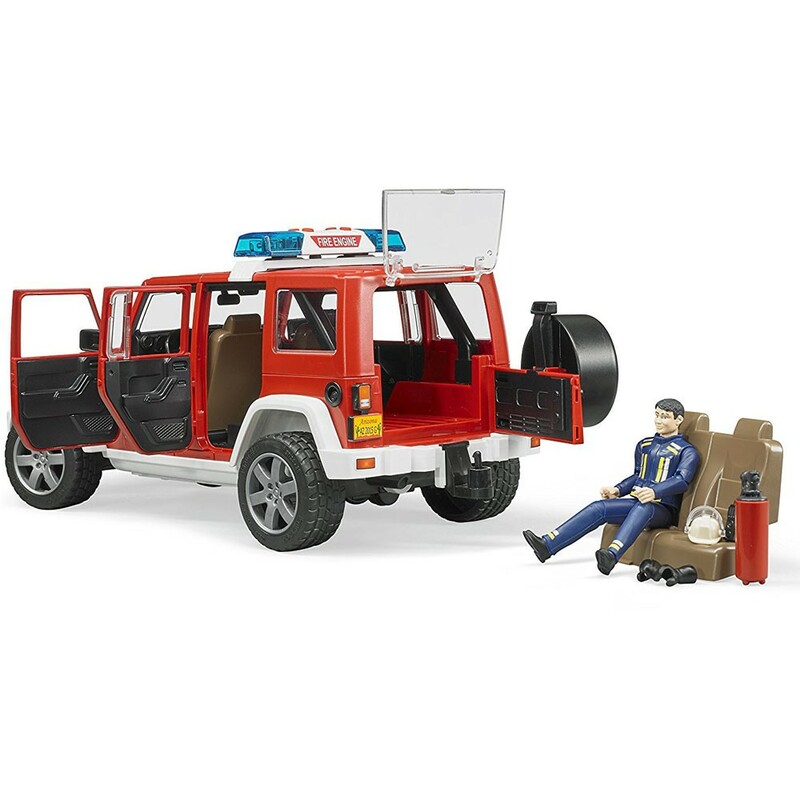 The fire service figurine can be equipped with enclosed accessories, such as fire extinguishers and radio. 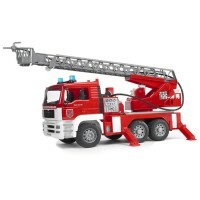 The incident light module including siren on the roof clears the way to the scene of the incident. 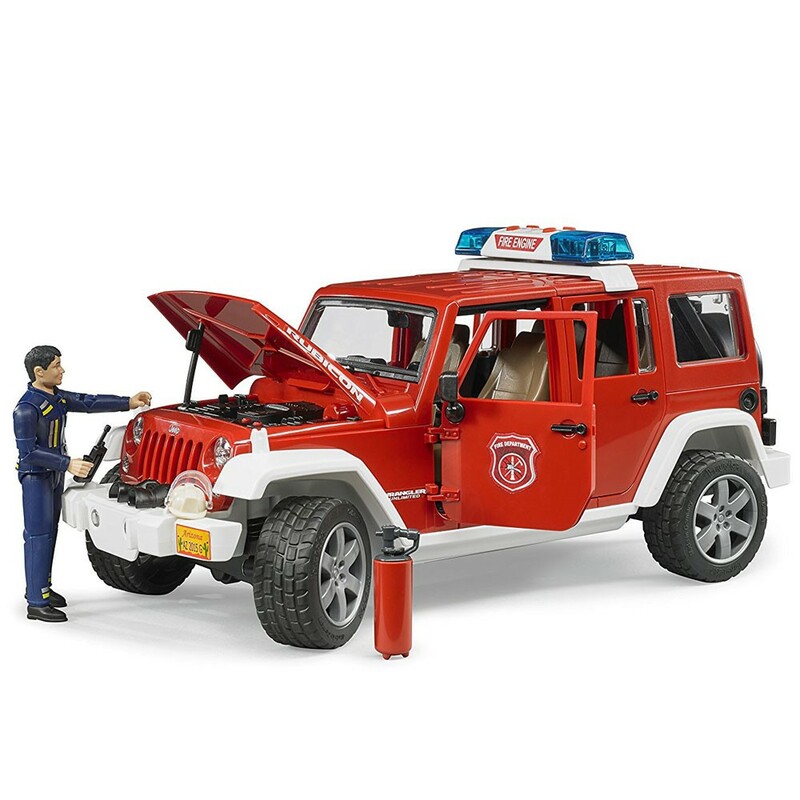 In addition to three different siren sounds, the module can also output the vehicle's engine sound. 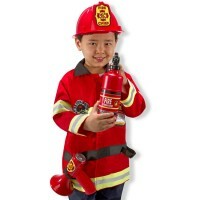 That's how realistic fire service efforts can be recreated in children's room - just like the real thing! 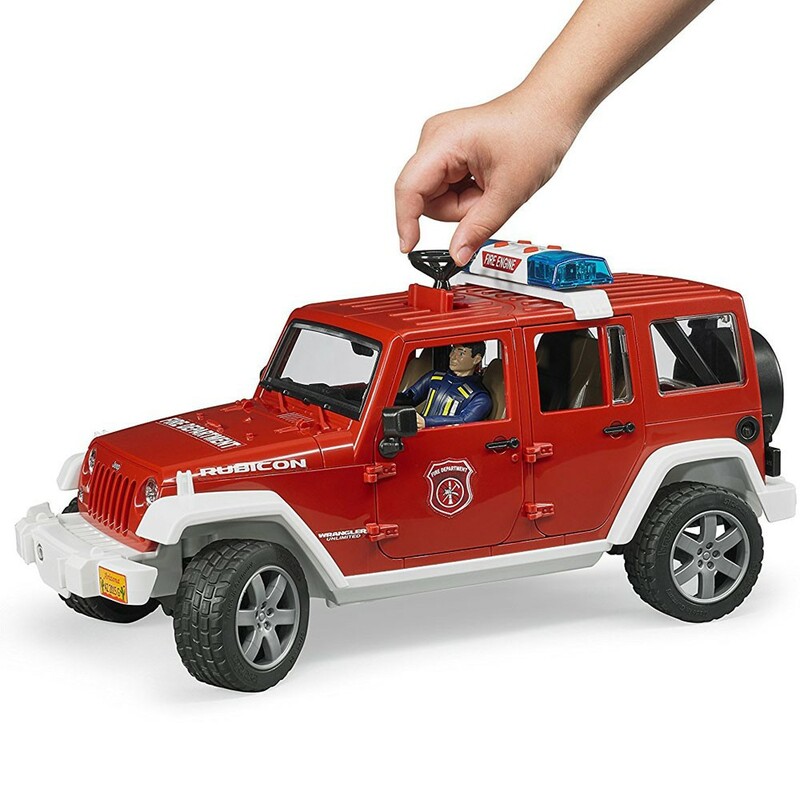 The fire service vehicle measures 12.9 x 5.7 x 6.4 inches. 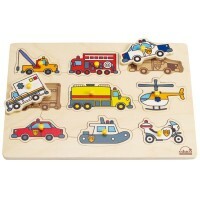 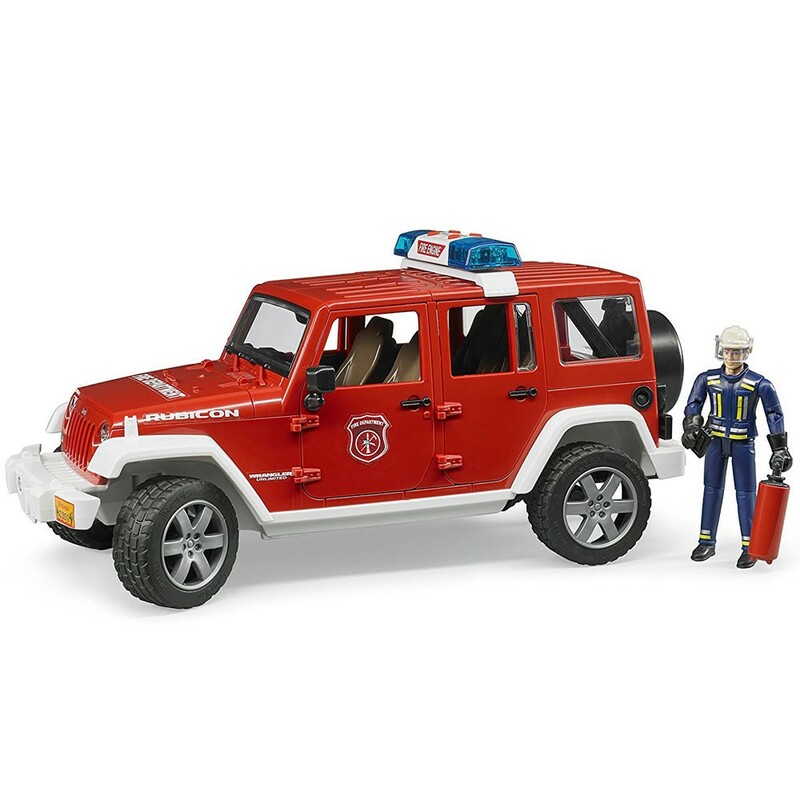 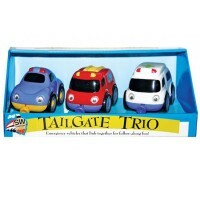 Dimensions of package 5.7" x 12.9" x 6.4"
Write your own review of Bruder Jeep Rubicon Fire Rescue with Fireman Vehicle Set.